SHARE (Shareholder Association for Research and Education), a non-profit that advises institutional investors like foundations and religious organizations about ethical and socially responsible investments, released a study last month about how well publicly listed companies report on Indigenous relations. The study includes results from 173 publicly listed companies from financial, telecommunications, materials, energy, renewable energy and clean technology, health care, and consumer sectors. Researchers looked at how companies reported about the number of Indigenous employees at their company and their roles; recruitment, education and advancement of Indigenous employees; contracting with Indigenous companies; how companies complied with international laws about Indigenous rights, particularly the United Nations Declaration on the Rights of Indigenous Peoples (UNDRIP); policies about free and prior informed consent and companies' investments in Indigenous communities. Canada fully committed to implement UNDRIP last year. 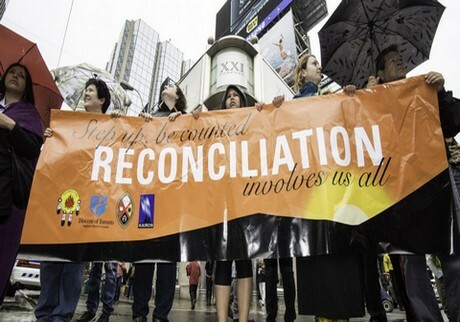 The Truth and Reconciliation Commission's (TRC) final report in 2015 called on businesses to use the UNDRIP as a framework for promoting reconciliation. This includes committing to building meaningful relationships with Indigenous communities and obtaining free and prior informed consent; making sure Indigenous people have access to jobs and employment training and educating employees about Indigenous history and culture. Of the 173 companies surveyed, only 10 made any commitment to international law. Only five companies specifically mentioned a commitment to free and prior informed consent: three mining companies, an energy company and a financial company. Consent can be a difficult concept to define, but it involves building relationships with affected communities early on in a project's development, and involving them in the management and oversight of projects so the authority is shared, said Delaney Greig, a co-author of the report. This means companies need to treat Indigenous people as "neighbours and partners," said Greig, and look for "opportunities for relationship-building between groups instead of looking at [Indigenous people] as this outside other who's a risk." Often, companies view building relationships with Indigenous people as a way to prevent a lawsuit or protest, Greig said. They may not consult with them until environmental assessments are needed. Businesses can begin building better relationships with Indigenous communities by having Indigenous people involved in senior roles where they can guide companies towards reconciliation. Only two companies reported having an Indigenous board member, one in each company, said Greig. "To expect those two individuals to represent the entire company and cause shifts in the way these enormous organizations operate is not reasonable," she said. Many companies -- 18.5 per cent -- said they prioritize hiring Indigenous employees, and many use Indigenous organizations in the recruitment process. But companies provided little data about the types of jobs Indigenous people had. This makes it hard to determine if they are in entry-level, temporary or upper-management roles. Only 11 per cent of companies gave quantitative data about their Indigenous employees, and only five per cent gave information about what level Indigenous employees were at in the company. In general, few companies provided any reporting about their relationships with Indigenous peoples. Companies that did report were more likely to include case studies and examples instead of facts and figures. This cursory detail and lack of specifics makes it difficult to know exactly how companies relate to Indigenous peoples, or if their interactions with Indigenous peoples are isolated activities related to specific projects, something to help the company's public relations or something the company is pursuing intentionally, said Greig. Companies were most likely to report about their community involvement with Indigenous peoples. Thirty per cent of the companies surveyed reported on this. But even then, specific details about their involvement were slim and reporting mainly consisted of anecdotes. For many companies, the report says, this community involvement was part of their broader philanthropic activities, and the only indicator on which they reported. A company's financial contributions to a community, or investment in community initiatives may be helpful, the report says, but they may also be short-term, or motivated by the company's interest. The report indicates a large gap in companies' reporting on their relationships with Indigenous peoples, but it doesn't offer clear reasons for why this gap exists. Some companies may not be used to reporting on the topic, said Greig. For example, telecommunications and financial companies scored the highest in including Indigenous people in employment diversity goals. All four telecommunications companies surveyed for the report reported on this, as did 30 per cent of financial institutions. But as the report notes, banks and telecommunications companies are required by federal law to report on employment diversity, including the number of Indigenous people in their workforce, and therefore already have systems in place to collect and disseminate this data. Greig said it was particularly surprising how poor the reporting from sustainable energy companies was. Many Indigenous groups are interested in renewable energy, and energy projects often have a large impact on their land. None of the 19 companies in this sector reported any mention of respecting Indigenous rights in international law or obtaining free and prior informed consent -- even though the report says many proposed wind, solar and hydro developments are located on traditional Indigenous territories. SHARE plans to hold workshops with Indigenous and non-Indigenous business leaders and investors to learn more about how companies can pursue reconciliation with Indigenous communities, Greig said. Below are two news items not found in mainstream media and two actions. But before that I report very briefly that we had another very productive week with many positive actions despite the negative news and challenges that face us in Palestine and around the world. We received many delegation to the Palestine Museum of Natural History and capped the week with a very special delegation: the Japanese group earth caravan and our volunteers and visitors (about 60 people half from Japan) had a beautiful interfaith gathering in memory of Hiroshima day (August 6). Christians, Muslims, Buddhists, and many others joined hands and pledged to redouble our work so that such atrocities do not happen again. The dropping of the nuclear bombs on Hiroshima and Nagasaki was nothing short of state terrorism and was not needed for ending the war as claimed by the US government (google this if you want more information). But as before what we need to think about is lighting candles rather than cursing the darkness. We have seven international and many local volunteers this week who are doing great work. 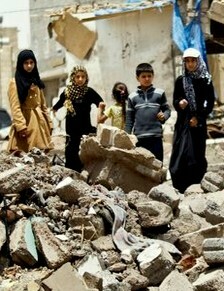 You can also volunteer: https://www.palestinenature.org/support-us/volunteer/ ). We received summer camps who visited the nascent botanical garden and the museum. We did field work in marginalized areas of the West Bank last week. We have significant new data on issues like decline in biodiversity and environmental health. We submitted more research papers highlighting our findings (see: palestinenature.org/research for published papers). 1) A cross sectional study of the relationship between the exposure of pregnant women to military attacks in 2014 in Gaza and the load of heavy metal contaminants in the hair of mothers and newborns by Paola Manduca, Safwat Y Diab, Samir R Qouta, Nabil Albarqouni, Raiija-Leena Punamaki. 1) Sign the petition by Defense of Children International-Palestine to end collective punishment of Gaza’s Children. An entirely man-made humanitarian crisis faces the nearly 2 million Palestinians living in Gaza, 43 percent of whom are under 15 years old. Israel’s 10-year military siege of the tiny coastal enclave and repeated Israeli military offensives have trapped Palestinians in dire conditions. 2) Another action for US citizens: some congressmen and senators are already saying no so our actions make a difference. The Israel Anti-Boycott Act will criminalize our First Amendment rights to free speech, and silence a movement that aims to ensure equal, human rights for Palestinians. 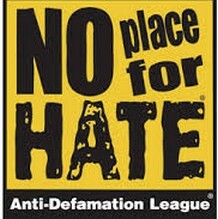 In addition to its labeling of Palestinian rights activists as “extremists,” the ADL has also given numerous U.S. conservatives the same label, including Mike Cernovich and Gavin McInnes. Cernovich and McInnes, though controversial, are extremely popular figures among conservatives and Trump supporters on YouTube and social media. Cernovich’s website, Danger & Play, gets nearly 150 million views every month. McInnes, co-founder of Vice Media, also enjoys a wide viewership, with many of his videos boasting millions of views. 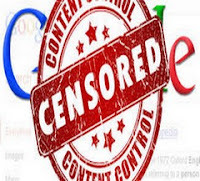 Critics have warned that the mix of censorship and redirection to “curated” propaganda videos would create a “PC, extreme-left, propagandizing echo chamber” with consequences that would go far beyond combating “online terrorism.” Indeed, given that Google’s Jigsaw once created tools intended to bolster the ranks of al-Qaeda in Syria, Google and YouTube’s desire to fight the spread of actual terrorism is dubious, making it all the more likely that this latest move is instead targeting free speech and expression. 1 - Letting Imperial Metals and Murray Edwards off with no fines or penalties for the worst mining disaster in Canadian history. The remains of Mount Polley's tailings pond. 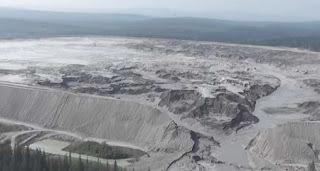 In August 2014, a retaining wall on a tailings pond at Mount Polley mine collapsed, spilling 24,000,000 litres of toxic sludge and water near the small BC community of Likely. Over the next two years, an investigation determined that Imperial Metals, the owner of the mine, had been warned repeatedly since 2007 about the structural integrity of the wall – and did nothing about it. In the end, BC taxpayers covered the $40 million dollar cleanup bill for the spill, while Imperial Metals received no fines or penalties for their failure to prevent it. The mine was allowed to restart operations Just two weeks ago, Mount Polley mine received permission to start releasing tailings into Shuswap lake. It is effective immediately until 2022. Imperial Metals and Murray Edwards have donated $1.5 million to the BC Liberals. This includes the million-dollar fundraising dinner Murray Edwards personally organized for Christy Clark at Calgary’s Petroleum Club. Methane gas trapped under the Arctic tundra has been called the ticking time bomb of climate change. Due to its high propensity to trap heat in the atmosphere, methane's global warming potential over a 20 year period is 86 times that of carbon dioxide, the greenhouse gas at the heart of most climate change discussion and analysis. So how concerned should we be about all the methane contained in the far north's permafrost? Because the Arctic is heating up at twice the rate of the rest of the globe, parts of the Arctic tundra are thawing. 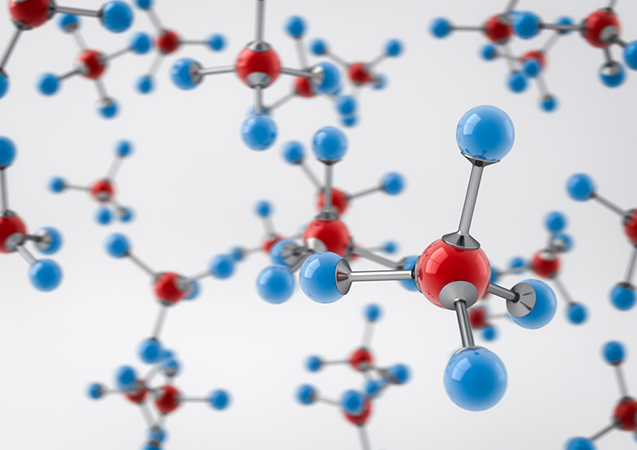 This may be allowing long buried pockets of methane to be released into the atmosphere, new research suggests. A study published in the journal Scientific Reports has concluded that, "Strong geologic methane emissions from discontinuous terrestrial permafrost in the Mackenzie Delta, Canada suggests that these methane seeps on the Tundra may be more problematic than previously thought." Torsten Sachs is a researcher at the GFZ German Research Centre for Geosciences in Potsdam, Germany, studying the exchange of carbon dioxide and methane between various ecosystems and the atmosphere using stationary instrumentation on the ground as well as low-flying aircraft. In the five years running up to 9/11 the NSA were monitoring Osama Bin Laden’s satellite phone and Al Qaeda’s communication hub, and the CIA were closely following their key operatives, including to the so-called ‘9/11 summit’ in Malaysia. So why didn’t they prevent the attacks? 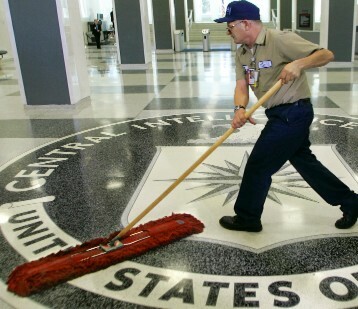 This week we look at the ‘failure’ of the NSA, CIA and FBI to share important information and ask whether these intelligence failures were the result of deliberate decisions on the part of those responsible for preventing terrorist attacks. Following the World Trade Center bombing trials, the end of the war in Bosnia and the capture of Ramzi Yousef in 1995, a second phase of Al Qaeda began. Osama Bin Laden moved back to Afghanistan, aided by Ali Mohamed, and the group set up a communications hub in Sana’a, Yemen. It was run by Ahmed Al-Hada, an associate of Bin Laden who had fought alongside him during the Soviet-Afghan War. Bin Laden regularly used his satellite phone to call this house in Yemen, when Al-Hada lived with his family, as did numerous other Al Qaeda members. This quickly led the NSA, who were monitoring the satellite phone, to the Yemen hub, which they also monitored from 1996 right up until 9/11. The NSA had previously tapped into the older satellite phone Bin Laden used while he was hiding out in Sudan, and possibly even tracked the new phone from the moment it was purchased. It’s a compelling narrative. But it’s almost certainly wrong. Much as I respect Clarke for being the only senior official to talk about this sort of thing in an explicit, critical way, I just don’t find this plausible. For one thing, US intelligence had sources inside Al Qaeda throughout the years – from the Blind Sheikh to Ali Mohamed, probably Ramzi Yousef and Jamal Khalifa. Then there’s the likes of Emad Salem, the FBI informant who became an entrapment operative after the WTC bombing, and Edwin Angeles, the Phillipines deep-cover spy inside the Bojinka plot. This is along with co-operators like Jamal Al-Fadl, and Ahmed Ressam, who was caught trying to smuggle explosives over the Canadian border into the US as part of the Millennium Plot. Admittedly, most of these people were now blown and either in prison or in witness protection but it’s hardly like US intelligence found it really difficult to get human sources inside Al Qaeda. That just isn’t true. Israel’s crackdown on access to the al-Aqsa mosque compound after two Israeli policemen were killed there last month provoked an eruption of fury among Palestinians in occupied Jerusalem and rocked Israel’s relations with the Arab world. Three weeks on, the metal detectors and security cameras have gone and – for now, at least – Jerusalem is calmer. But the shock waves are still reverberating, and being felt most keenly far away in northern Israel, in the town of Umm al-Fahm. The three young men who carried out the shootings were from the town’s large Jabareen clan. They were killed on the spot by police. Umm al-Fahm, one of the largest communities for Israel’s 1.7 million Palestinian citizens, a fifth of the population, had already gained a reputation among the Jewish majority for political and religious extremism and anti-Israel sentiment. In large part, that reflected its status as home to the northern branch of the Islamic Movement, led by Sheikh Raed Salah. In late 2015, Israeli prime minister Benjamin Netanyahu outlawed the Movement as a terror organisation, despite his intelligence agencies failing to find evidence to support such a conclusion. More likely, Netanyahu’s antipathy towards Salah’s group, and Umm al-Fahm, derives from its trenchant efforts to ensure the strongest possible presence of Muslims at al-Aqsa. 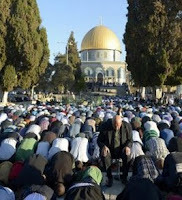 As Israel imposed ever tighter restrictions on Palestinians from the occupied territories reaching the mosque, Salah organised regular coaches to bring residents to the compound from Umm al-Fahm and surrounding communities. Nonetheless, the three youths’ attack at al-Aqsa last month has served to bolster suspicions that Umm al-Fahm is a hotbed of radicalism and potential terrorism. That impression was reinforced last week when the Israeli authorities, at judicial insistence, belatedly handed over the three bodies for burial. Yousef Jabareen, a member of the Israeli parliament who is himself from Umm al-Fahm, said such accusations were unfair. “People in the town were angry that the bodies had been kept from burial in violation of Muslim custom for two weeks,” he told Middle East Eye. Nonetheless, the backlash from Netanyahu was not long in coming. In a leak to Israeli TV, his office said he had proposed to the Trump administration ridding Israel of a region known as the Little Triangle, which includes some 300,000 Palestinians citizens. Umm al-Fahm is its main city. The Triangle is a thin sliver of Israeli territory, densely packed with Palestinian citizens, bordering the north-west corner of the West Bank. 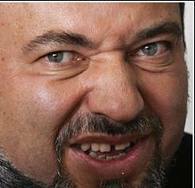 In effect, Netanyahu was making public his adoption of the long-standing and highly controversial plan of his far-right defence minister, Avigdor Lieberman. This would see borders redrawn to allow Israel to annex coveted settlements in the West Bank in exchange for stripping hundreds of thousands of Palestinians of their Israeli citizenship and reassigning their communities to a highly circumscribed Palestinian state. Jamal Zahalka, another member of the parliament, from Kafr Kara in the Triangle, said Netanyahu was supporting a double crime. “He wins twice over,” he told Middle East Eye. With his leak, Netanyahu has given official backing to an aspiration that appears to be secretly harboured by many Israeli politicians – and one that, behind the scenes, they have been pushing increasingly hard with Washington and the leadership of the Palestinian Authority. A poll last year showed that nearly half of Israeli Jews want Palestinians expelled from Israel. With Netanyahu now publicly on board, it looks suspiciously like Lieberman’s role over many years has been to bring into the mainstream a policy the liberal Haaretz newspaper has compared to “ethnic cleansing”. Marzuq al-Halabi, a Palestinian-Israeli analyst and researcher at the Van Leer Institute in Jerusalem, believed the move was designed with two aims in mind. It left a “constant threat” of expulsion hanging over the heads of the minority as a way to crush political activity and demands for reform, he wrote on the Hebrew website Local Call. And at the same time it cast Palestinian citizens out into a “territorial and governmental emptiness”. Inevitably, the plan revives fears among Palestinian citizens of the Nakba, the Arabic word for “Catastrophe”: the mass expulsions that occurred during the 1948 war to create Israel on the ruins of the Palestinian homeland. The idea of a populated land exchange was first formalised by Lieberman in 2004, when he unveiled what he grandly called a “Separation of the Nations” programme. It quickly won supporters in the US, including from elder statesman Henry Kissinger. The idea of a land and population swap – sometimes termed “static transfer” – was alluded to by former prime ministers, including Ehud Barak and Ariel Sharon, at around the same time. But only Lieberman set out a clear plan. He suggested stripping as many as 300,000 Palestinians in the Triangle of their Israeli citizenship. Other Palestinian citizens would be expected to make a “loyalty oath” to Israel as a “Jewish Zionist state”, or face expulsion to a Palestinian state. The aim was to achieve two states that were as “ethnically pure” as possible. Jabareen noted that Lieberman’s populated land exchange falsely equated the status and fate of Palestinians who are legal citizens of Israel with Jewish settlers living in the West Bank in violation of international law. Lieberman exposed his plan to a bigger audience in 2010, when he addressed the United Nations as foreign minister in the first of Netanyahu’s series of recent governments. Notably, at that time, the prime minister’s advisers distanced him from the proposal. A month after Lieberman’s speech, it emerged that Israeli security services had carried out secret exercises based on his scenario. They practised quelling civil disturbances with mass arrests following a peace deal that required redrawing the borders to expel large numbers of Palestinian citizens. Behind the scenes, other Israeli officials are known to have supported more limited populated land swaps. Documents leaked in 2011 revealed that three years earlier the centrist government of Ehud Olmert had advanced just such a population exchange during peace talks. Tzipi Livni, then the foreign minister, had proposed moving the border so that several villages in Israel would end up in a future Palestinian state. Notably, however, Umm al-Fahm and other large communities nearby were not mentioned. The political sympathies between Lieberman and Livni, the latter widely seen as a peacemaker by the international community, were nonetheless evident. In late 2007, as Israel prepared for the Annapolis peace conference, Livni described a future Palestinian state as “the answer” for Israel’s Palestinian citizens. She said it was illegitimate for them to seek political reforms aimed at ending Israel’s status as a “home unto the Jewish people”. The first hints that Netanyahu might have adopted Lieberman’s plan came in early 2014 when the Maariv newspaper reported that a population exchange that included the Triangle had been proposed in talks with the US administration, then headed by Barack Obama. The hope, according to the paper, was that the transfer would reduce the proportion of Palestinian citizens from a fifth of the population to 12 per cent, shoring up the state’s Jewishness. Now Netanyahu has effectively confirmed that large-scale populated land swaps may become a new condition for any future peace agreement with the Palestinians, observed Jabareen. At Lieberman’s request in 2014, the Israeli foreign ministry produced a document outlining ways a land and population exchange could be portrayed as in accordance with international law. Most experts regarded the document’s arguments as specious. The foreign ministry concluded that the only hope of justifying the measure would be to show either that the affected citizens supported the move, or that it had the backing of the Palestinian Authority, currently headed by Mahmoud Abbas. Anything short of this would be a non-starter because it would either qualify as “forced transfer” of the Triangle’s inhabitants, a war crime, or render them stateless. The problem for Israel is that opinion polls have repeatedly shown that no more than a quarter of Palestinians in the Triangle area back being moved into a Palestinian state. Getting their approval is likely to prove formidably difficult. Zahalka rejected claims by Israeli politicians that this was a vote of confidence from Palestinian citizens in Israeli democracy. And he noted that Netanyahu and Lieberman were talking about redrawing the borders to put only their homes inside a future Palestinian state. It is in this context – one where Palestinians citizens will not consent to their communities being moved outside Israel’s borders – that parallel political moves by Netanyahu should be understood, said Jabareen. Not least, it helps to explain why Netanyahu has made recognition of Israel as a Jewish state by Abbas’ Palestinian Authority a precondition for talks. Aware of the trap being laid for it, the PA has so far refused to offer such recognition. But if it can be arm-twisted into agreement, Netanyahu will be in a much stronger position. He can then impose draconian measures on Palestinians in Israel, including loyalty oaths and an end to their demands for political reform – under threat that, if they refuse, they will be moved to a Palestinian state. At the same time, Netanyahu has been pushing ahead with a new basic law that would define Israel as the nation state of the Jewish people, rather than of Israel’s entire population. The legislation’s intent is to further weaken the Palestinian minority’s claim on citizenship. Netanyahu’s decision to ban the Islamic Movement as a terror organisation fits into the picture too. In a 2012 report by the International Crisis Group, a Washington and Brussels-based conflict resolution group, an official in Lieberman’s party explained that one of the covert goals of Lieberman’s plan was to rid Israel of “the heartland of the Islamic Movement”. Conversely, Netanyahu’s Likud allies and coalition partners have been pushing aggressively to annex settlements in the West Bank. Zahalka noted that the prime minister gave his backing last week to legislation that would expand Jerusalem’s municipal borders to incorporate a number of large settlements – a move that would amount to annexation in all but name. “The deal is Israel takes Jerusalem and its surrounding areas, and gives Umm al-Fahm and its surroundings to the PA,” he said. The pieces seem to be slowly falling into place for a populated land exchange that would strip hundreds of thousands of Palestinians of their Israeli citizenship. Paradoxically, however, the ultimate obstacle may prove to be Netanyahu himself – and his reluctance to concede any kind of meaningful state to the Palestinians.